Dean's Beans supplies Boston Organics with some really great coffee. All Dean's Beans coffees are organic, shade grown, and roasted in small batches at their beanery out west of here. 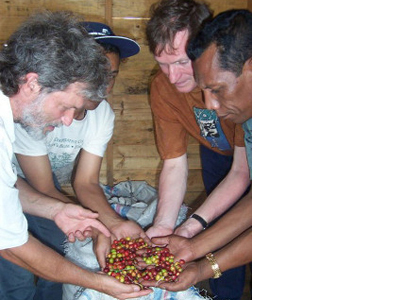 Dean's Beans only purchases beans from villages and importers that are committed to Fair Trade, and as a company is involved in some really exciting projects in coffee producing countries all around the world.